Save up to £400 per Couple with May and June Holiday Bookings at TUI Get some great couple deals at TUI when you book to go away this May and June. £70pp Off Luggage on Florida Flight Bookings at TUI Save on your luggage allowance with this great discount code from TUI. Up to 50% Off Last Minute Holidays at TUI Greece, Spain, Turkey and more - get up to 50% off when booking a last minute trip with TUI! Free Child Places with Selected Bookings at TUI Your next family holiday just got even more affordable! Check out the destinations offering 1 free child place, including Spain and Greece. 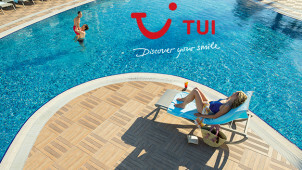 Up to 50% Off Summer 2019 Holiday Bookings at TUI Book your summer holiday with TUI and get up to 50% off! Low Deposits from £50pp at TUI Combine low deposits with these fantastic TUI discount codes and save on your holiday booking today. Free Board Upgrades with Selected Bookings at TUI Upgrade your board status when booking with TUI! City Breaks from £470 Per Person at TUI Las Vegas, New York, Dubai - choose one of the most breathtaking cities in the world to travel to, from £470 per person at TUI! Up to 13% Online Discount on Bookings at TUI Don't miss out on getting 13% off when booking your summer getaway with Tui! Up to £200 Off Turkey Holiday Bookings at TUI Book your Turkey escape with TUI and get up to £200 off! Are you dreaming of Tenerife, a Caribbean Cruise, Majorca or another place on the map to satisfy your wanderlust? TUI is that reliable travel group that is sure to spark your discovery of delightful destinations around the world. With TUI discount codes you can tailor-make your holiday for less, to enjoy all-inclusive getaways, TUI family life trips and much more. Go long or short haul, there will be a destination with your name on it. Variety is the essence of a TUI holiday, starting from where you can go to what you can do to fill your time when you’re there. A city break will let you discover New York, Singapore and many more hotspots; while if you’re looking for fresh air and a mountainous skyline, you can revel in the Lakes and Mountains section to get you closer to jaw-dropping scenery and nature. Providing every type of traveller with a variety of hotel options to accommodate different tastes and budgets, couples can find adult only options with luxurious Sensimar packages while there is plenty available to keep kids and groups entertained 24/7 too. With TUI the world is your oyster and now you have no excuse to not get out there and start discovering. How do I use my TUI discount code? Continue to finalize your booking. Sign up with TUI Holidays to get the best offers delivered straight to your inbox as well as the low down on new and trending destinations. While travel insurance may not be supplied with your booking, you can get a quote while you book through TUI. Check-in online using your booking reference, leading passenger surname and travel dates. Simply go to ‘Manage my Booking’ to make any amendments to your holiday, or get in touch with the TUI team. Does TUI offer student or NHS discount? While an NHS or TUI student discount isn't currently available, be sure to stay in touch with vouchercloud in case anything changes! Will any all-inclusive holidays be in the TUI Black Friday event? From long-haul flights to sweet last-minute TUI holidays, there's sure to be the perfect break for you from TUI over Cyber Weekend. Start packing your bags because you never know where our TUI Black Friday deals could take you! Take a look at the TUI Contact Page to make changes to your booking, or to ask general questions. Every Country's Top Tourist Attraction - According to Tripadvisor ? If you're looking for some ideas when it comes to places to visit - the world is full of a wide variety of wonders after all - then many look to Tripadvisor and it's iconic recommendations, collated by travellers all over the world. From ziplines in Fiji to a kayaking water park in Dijibouti, some of the Tripadvisor-approved-attractions are a little off piste. Even the likes of the UK offers something unexpected - aside from the biggest Potter fans, not many people would pick out The Harry Potter Studio Tour as the must-see destination nationwide. 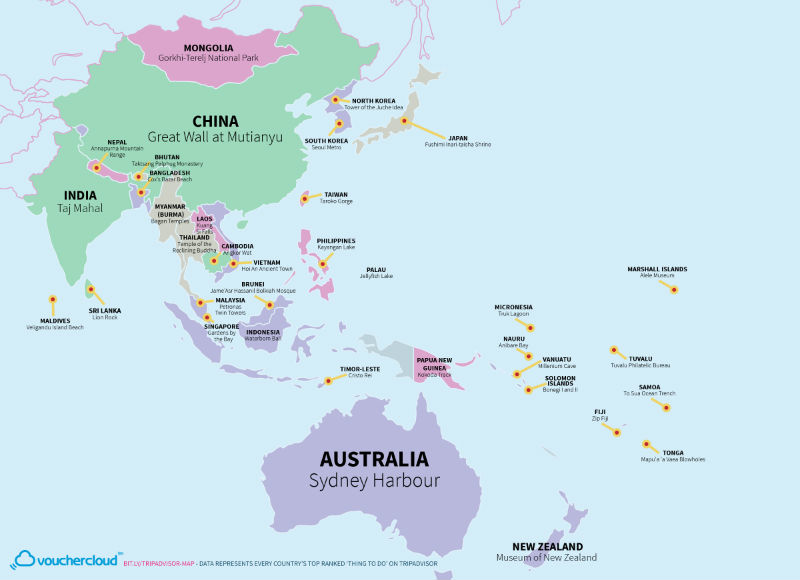 Some of the must-see global destinations have found their way to the surface, however - The Great Wall of China, Table Mountain, Niagara Falls and Sydney Harbour all make a welcome appearance on the list of the World's greatest 'Things to Do'. 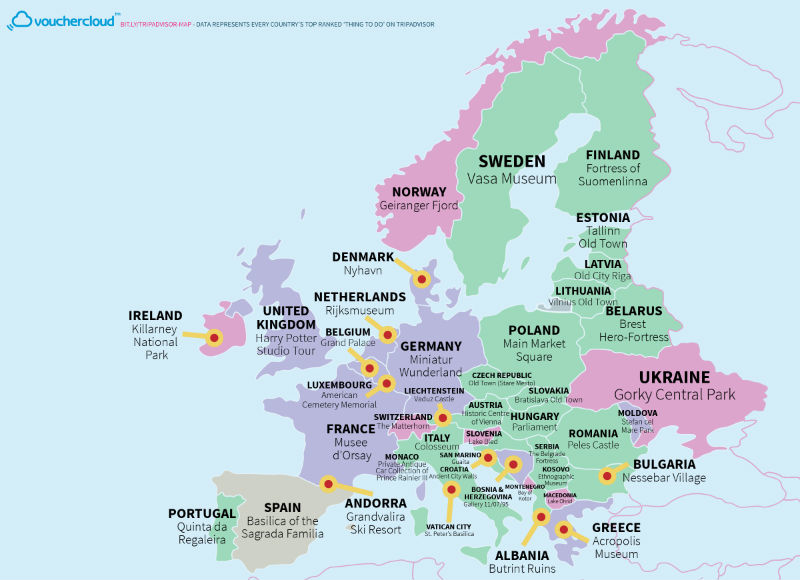 You can also take a closer look at certain regions - Western Europe seems tourism focused, while Eastern Europe is rich in history. Meanwhile, the Americas are predominantly natural, along with much of the Caribbean (what-with its beautiful beaches). You can view every country's top-ranked destination according to Tripadvisor in this Google doc, and plot your route around the most popular tourist destinations around the world. 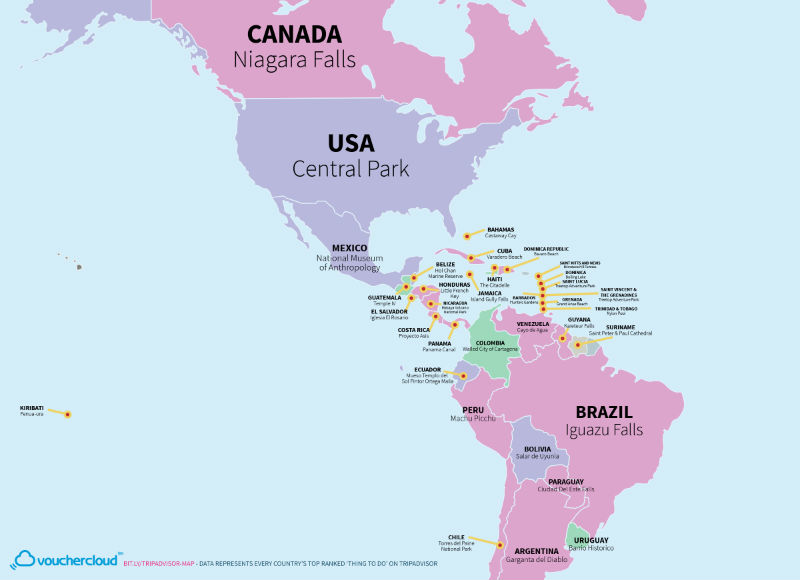 The data is correct as of December 2016, when it was first collected - Tripadvisor frustratingly no longer shows each country's attractions listed by rating! We can also help you save money while you're off on your travels - take a look at our research into Airbnb vs hotel prices, and find out when the cheapest time to book your hotel is in advance (and just how much money you can save by being prepared). If you’re looking for discovery, adventure and a bit of holiday magic, TUI is the travel provider for you. Previously known as Thomson, visit TUI to find your ideal family trip or to book an all-inclusive holiday and a TUI discount code will let you save on a memorable travel experience. You’ll find sun and sand in the most sought-after destinations, like Barbados, Morocco and Portugal. Whether you fly or take a cruise, you’ll find plenty of TUI holidays for 2019 and beyond to tempt you! The fancy TUI app is award-winning and now a truly indispensable travelling partner. Featuring all the information you should need about your booking and group bookings too, the app lets you connect to your customer account to view boarding passes and an exciting holiday countdown! Brimming with information and tips on your destination, via the app you can even meet your in-resort team before you arrive at your hotel so you’ll be completely prepared to relax. There’s so much to discover with TUI holidays and whether you’re looking for your next big holiday or for a cheap last-minute break, you’ll find perfect options to suit your needs and budget. Hopping aboard a TUI cruise ship like the Marella Discovery 2 is a great choice to keep the whole family entertained. A TUI voucher code will have you saving on heaps of things to do on this modern vessel, while you discover destinations unknown and you’re sure to be handing out ecstatic reviews on your experience in no time!